Home » Amazing » Incredible Pakistan, yet not much known. Incredible Pakistan, yet not much known. By Sparky in Amazing on November 19, 2009 . 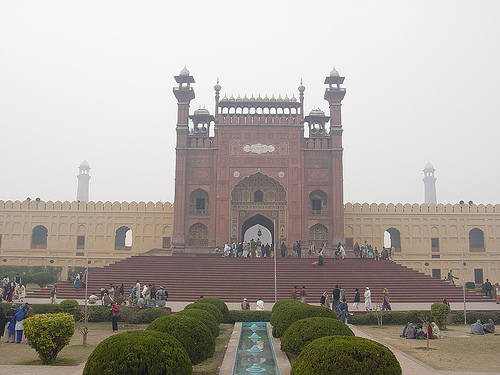 Pakistan has many historic sites that are unknown to most Pakistanis. 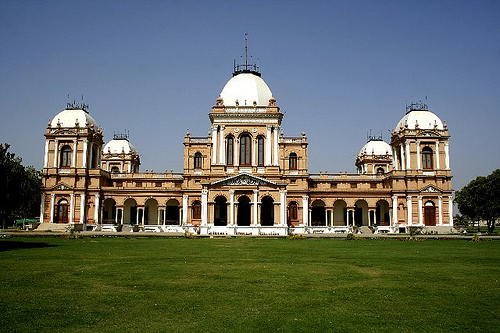 The Noor Mahal is a beautiful palace built in Bahawalpur, Pakistan. It was built in 1872 like an Italian chateau on neoclassical lines, strangely at a time when modernism had set in. There are various stories regarding its construction. According to one belief, Nawab Sadiq Muhammad Khan IV had the palace made for his wife. 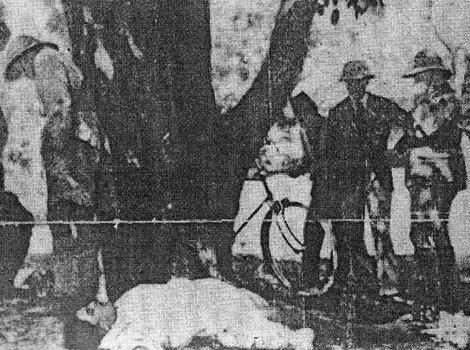 However, she was there for one night, only as she happened to see the adjoining graveyard from her balcony, and refused to spend another night there and so it remained unused during his reign. 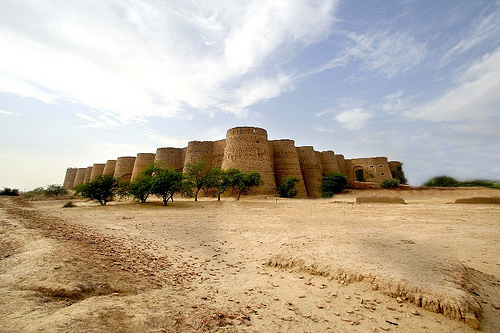 Derawar Fort is an ancient fort located in Cholistan Desert in Pakistan. The Fort was built by Deoraj, a prince of Jaisalmer. It was in possession of royal family of Jaisalmer when it was captured by Abbasis in 1735. In 1747, the Fort slipped from the hands of Abbasis in the reign of Nawab Bahawal Khan due to his pre-occupations at Shikarpur. Nawab Mubarak Khan took the stronghold back in 1804. 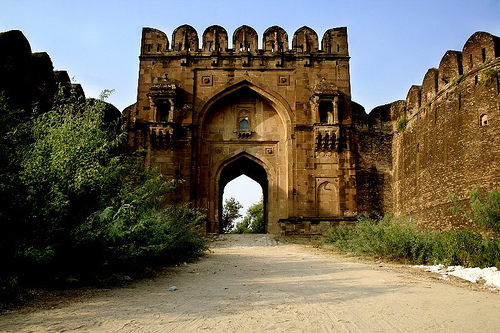 The fort was built in 1541-43 by Sher Shah Suri to protect the area against the Gakhars, who were loyal to the Mughal ruler Humayun, to whom the fort was finally surrendered by a treacherous commander 10 years after Sher Khan’s death. 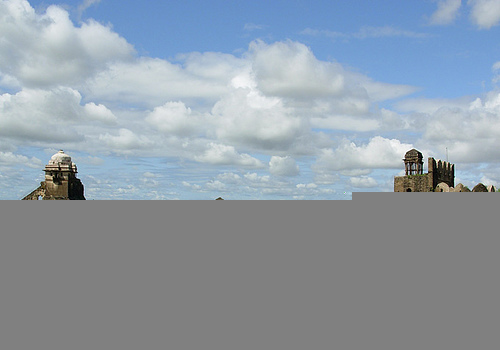 The fort was named after the site where Sher Khan defeated the Mughals. 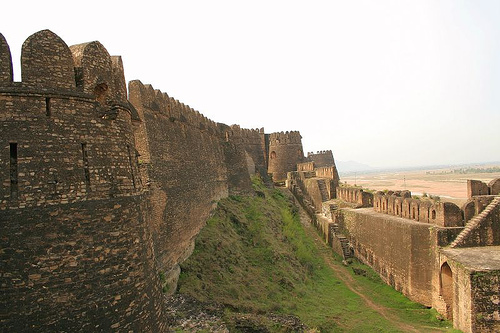 After the structure was abandoned by the military in the early 18th century, a village was built inside its walls.The walls of the Rohtas Fort measure up to 12.5 meters (41 feet) in thickness and up to 18.28 meters (60 feet) in height. They extend for 4 km (2.5 miles) and feature 68 semi-circular bastions. Its sandstone gates, both massive and ornate, are thought to have exerted a profound influence on the Mughal military architecture. 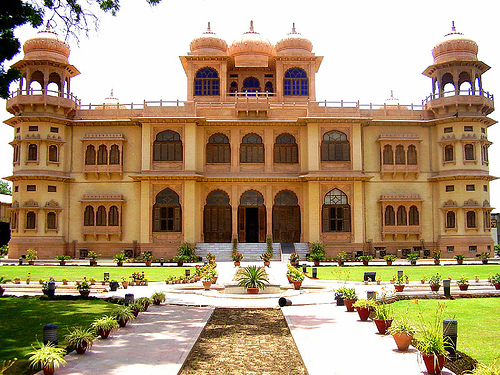 Mohatta Palace, Karachi is Anglo-Mughal architecture, was used to be a residence of Fatima Jinnah (sister of founder of Pakistan, Quai-e-Azam, Muhammad Ali Jinnah), she is still known as Maadar-e-Millat (Mother of Nation). 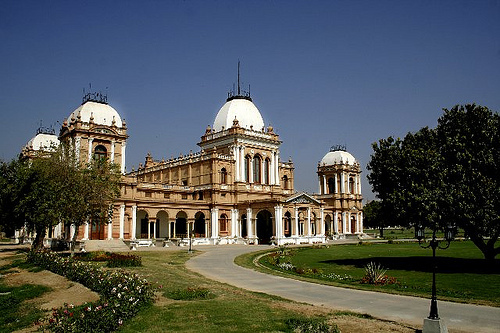 In 1995, at the request of the Government of Sindh, Benazir Bhutto’s government assigned Rs.70 million to the Culture Department of Sindh to purchase and restore the derelict palace and convert it into a museum. One of the oldest parts of the city situated in the heart of Peshawar, Mohalla Sethian presents a fine series of 18th and 19th century architecture. It depicts a mixed artisanship of Bukhara, Kashmir, Golkanda and Iranian cultures. The roofs of these palatial mansions or havelis located in Bazaar-I-Kalan are connected to each other by wooden bridges, depicting a kaleidoscopic world inside the weather-beaten, brick-walled houses. 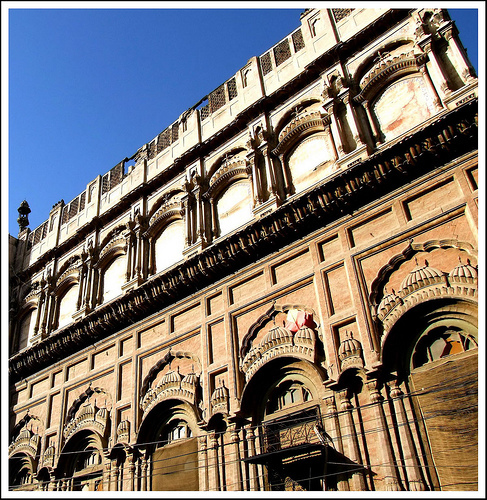 The havelis speak volumes about the aesthetic sense and love for embellishments of their once-rich occupants. The small Kashmir bricks known as Waziri were used in the Mughal era from Lahore to Agra. The use of limestone, colourful glasswork, embossed settings of flowers on wooden doors, windows, frames, arches and columns and aroosi engraved by Bukhara artisans take any visitor to the bygone days when Peshawar was ruled by exiled Afghan princes. Sethis were the businessmen of Peshawar. These traders earned huge profits in trade with India, Afghanistan and Central Asia. The palatial residence of the Sethis, built in 1882 by Haji Ahmad Gul, is proof of this fact. 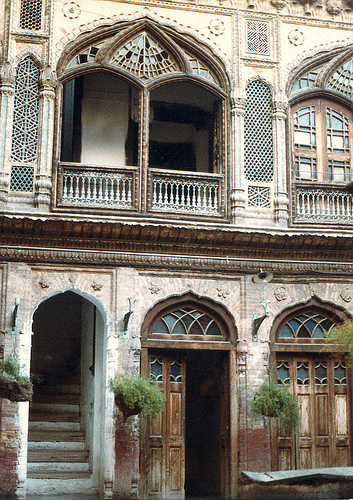 Ahmad Hasan Dani, in his book Peshawar – Historic City of the Frontier, describes the palatial residence of the Sethis. He says: “It is a highly-embellished building in the typical style of the domestic architecture of a rich man, presenting highly-carved wooden doors, balconies, a mirrored and painted reception room with open upper storeys to catch the fresh breeze and underground rooms in two stages for protection from the summer heat. A highly-carved wooden doorway leads into a court where business was transacted. A bent passage gives access to the interior. The main house forms round an open court, 32×30, paved with bricks. 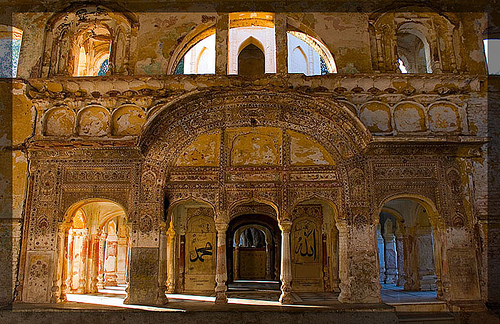 The surrounding rooms show highly-carved wooden arches resting on pillars with panels showing variegated motifs…the whole building gives an appropriate idea of the old type of houses.” The three-storey building consisting of a tehkhana, balakhana and a dalan opening through a triple-arched entrance has a colourfully-painted ceiling. An interesting feature of these buildings is the colourful ceilings designed and painted in different colours in every room. The variety in design and paint of the ceiling and colour combination is awe-inspiring. The cut-glass fixed on the walls reflects the colourful panels embellished with antiques and vases. Hundred-year-old chandeliers in blue and yellow, imported from Belgium, enhance the beauty of the room.Muhalla Sethian would have attracted more tourists if it were open to them, but it is still inhabited by the Sethis and the beauty and grandeur is inaccessible to the public. This old and historic Muhalla should be preserved. Badshahi Masjid at Night by Max Loxton (HD Recovered… ). 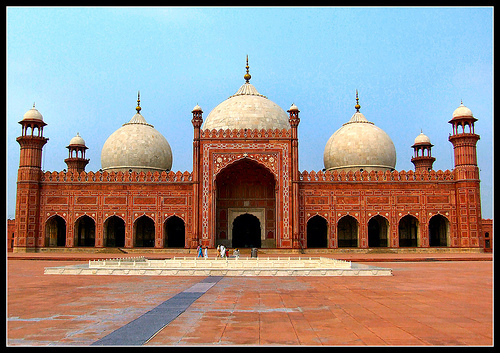 The Badshahi Masjid (بادشاهى مسجد), literally the ‘King’s Mosque’, was built in 1673 by Aurangzeb in Lahore, Pakistan. It is one of the city’s best known landmarks, and a major tourist attraction epitomising the beauty and grandeur of the Mughal era. 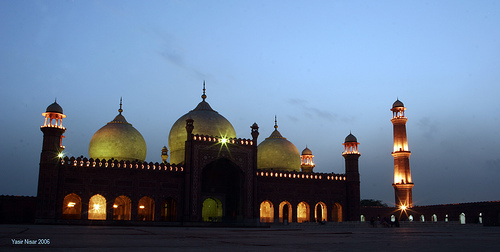 Capable of accommodating up to 60,000 worshippers, it is the second largest mosque in Pakistan, after the Faisal Mosque in Islamabad. 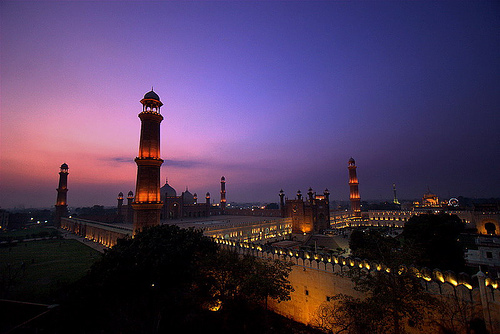 The architecture and design of the Badshahi Masjid is closely related to the Jamia Masjid in Delhi, India, which was built in 1648 by Aurangzeb’s father and predecessor, emperor Shah Jahan.